Huobi, the third-largest crypto exchange by trading volumes, is seeking to fill a void in Russia’s cryptocurrency community. This month, the exchange opened an office in Moscow, the first major crypto trading platform to have a physical presence in the country, notably with a Russian-language call center. But Singapore-based Huobi’s ambitions go further, into lending and renting space for Russian miners, shaping the country’s regulations and training local blockchain talent. The call center alone may be a significant differentiator, however. Even though leading crypto exchanges like Binance, OKEx and Bitfinex now have Russian-language interfaces, getting real-time support in case of tech problems have been a headache for many users in Russia who don’t speak English, Chinese or Korean. “None of the big exchanges would answer your request in Russian,” a Russian trader named Anton, who didn’t want to disclose his full name, told CoinDesk. For several years, the void was filled by the now-defunct exchange BTC-e, which had not only a Russian support staff but a network of local over-the-counter (OTC) dealers who had been facilitating the purchases of cryptocurrencies in absence of regulated fiat on-ramps in the country. But BTC-e was shut down by the U.S. FBI in July 2017. Subsequently, a new platform named WEX picked up its job until July, when fiat and crypto withdrawals were frozen. Since then, there has been no mainstream platform offering comprehensive support for users in Russia. So now Huobi is stepping in aggressively. 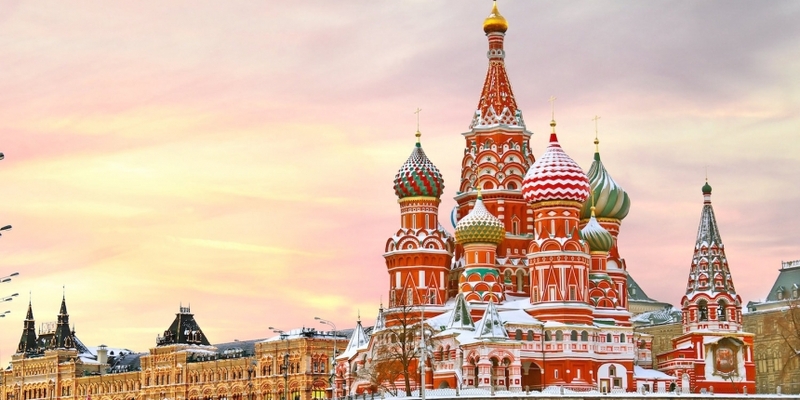 Huobi’s 30-person Moscow office opened November 12. In addition to the call center, this site provides back office support for OTC trading and listing, and personal managers for big clients, Andrew Grachev, the head of the Russian office, told CoinDesk. “If someone wants to start trading with $1,000, he can come to the office and register with the help of a personal manager,” Grachev said. To attract as many new users as possible, Huobi Russia is offering commissions lower than 0.1 percent for users who trade more than 50 bitcoin in two weeks during November, the company’s website says. Also, users will get a monthly “cash back” reward, Grachev said: 20 percent of trading fees users pay on the exchange will come back to their account in the form of Huobi tokens, which then can be used on the platform to pay for services, or cashed out. Initially, Huobi’s plans were even more ambitious: the exchange wanted to enable deposits in Russian roubles, but the local experts said it’s a bad idea. However, Russian users will be able to buy cryptocurrency for roubles using the exchange’s Huobi OTC service, and seamlessly transfer it to their trading accounts, Grachev told CoinDesk. The OTC platform is online, but it has too few users from Russia so far, so Huobi plans to lure local OTC traders with commission rates lower than on other OTC platforms, Grachev said. With three bills related to blockchain, cryptocurrencies and initial coin offerings (ICOs) currently stuck in the Russian parliament, the State Duma, the local regulatory environment is unclear and arguably unconducive to the industry’s growth. However, government-backed institutions are watching the field closely and launching various local blockchain pilots for government services, like distribution of government-sponsored prescription drugs or land registry. In August, Huobi signed up with the VEB’s Center of Digital Transformations and has been providing expertise that will be adapted for Russia by local experts and used in the development of future regulation in the country, Demin said. In addition to opening the Moscow office, Huobi will train blockchain entrepreneurs attending a special program for blockchain startups at Plekhanov University of Economics, one of the top Russian universities. The university is in the process of finalizing a contract with Huobi, Nadezhda Surova, head of the University’s Department of Entrepreneurship and Logistics, told CoinDesk. Initially, Huobi came to the university in search of tech professionals, she said, and later an expert committee within the Russian government’s Ministry of Digital Development approved the partnership. Huobi’s further plans in Russia include offering loans for miners to buy specialized mining chips, or ASICs, and space for them to rent, Grachev said. According to him, these services might become available as soon as the first quarter of 2019. Coming to Russia is a part of larger expansion plans by Huobi: in August, the exchange announced plans to open offices in the Philippines, Russia, Taiwan, Indonesia, and Canada, South China Morning Post reported. According to CoinMarketCap, Huobi’s total 24-hour volume (excluding no-fee trades and transaction mining) is $595 million, making it No. 3 among exchanges after Binance and OKEx.